Incisions are made in the breast and the excessive tissue is removed after which sutures are used to join the skin together. In cases where it is only fat that is a major problem, liposuction alone is used to extract the fat. Breast reduction surgery must not be performed on lactating or pregnant women. 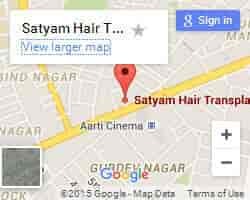 © All Rights Reserved 2019 -Satyam Hair transplant India.